Dr. Ron Denham, Chair Emeritus of the Water & Sanitation Rotarian Action Group, spoke about the importance of helping to provide sustainable water and sanitation in areas in need around the world. Dr. Denham led a captivating talk and spoke to the heart of everyone in the audience. Although much has been done, as of 2015, 700 million people still don't have access to clean water, and 2.4 billion lack proper sanitation. As Dr. Denham put it, "despite investment of billions of dollars and millions of hours, few projects have achieved lasting impact". The impressive goal set is to have sustainable management of water & sanitation for all by 2030. The key is sustainability, and Rotary can help by implementing "Bigger Projects, Better Programs and Bolder Initiatives". We need to collaborate with others to come up with the best ways to provide maintainable systems. WASRAG can help find projects, identify potential matching clubs and private sector partners, help with sustainable design practices and more. To learn more, visit www.wasrag.org. Thanks to Mike Kovaliv Photography of Snapd and Gordon Drake for taking some amazing photos of the event! Howard Ave. and Laurier Parkway (click here for map). On April 18 members are invited to attend the meeting of the Walkerville Rotary Club to hear a very interesting speaker, John Currie, who is with the group Honouring Indigenous People. The meeting starts at 6:00 pm and is located at the Walter D Kelly Life Celebration Centre, 1969 Wyandotte Street East. If we have 4 members in attendance we will qualify for our Passport to Service award. Please let me know if you plan to attend. 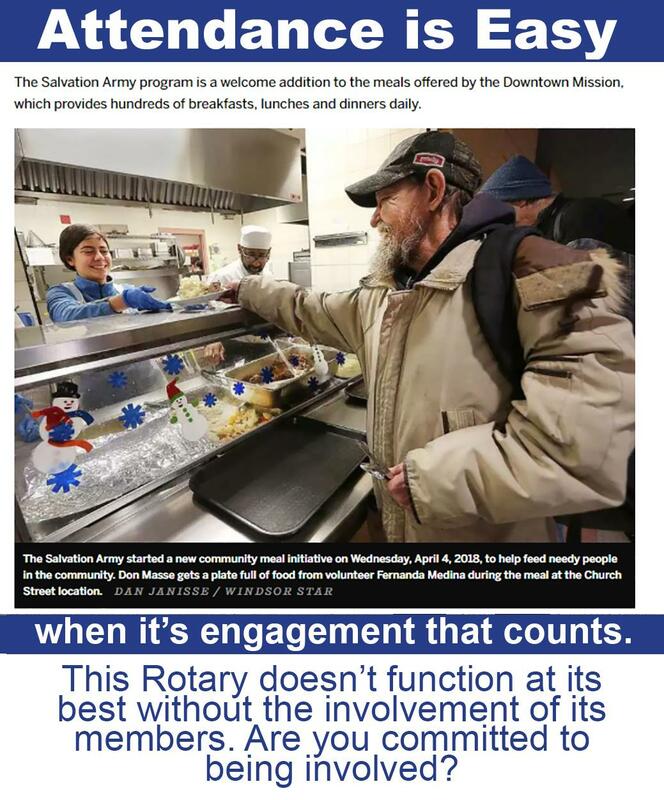 I will not be able to attend as I am serving the Community Meal on that date. For the District conference Rotarians are asked to submit pictures of any babies born to Club Rotarians (we have a couple this year for sure! ), grand babies or great grand babies - born between July 1, 2017 and end of April. If you are interested in submitting please forward pictures to Paul Charbonneau (Rotary St. Clair) at paul@hcamindbox.com. 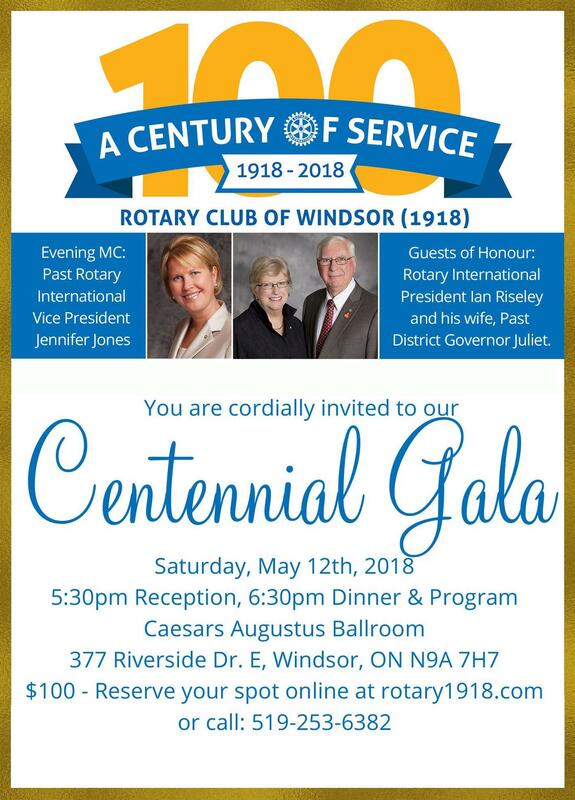 As the culmination of the Rotary Club of Windsor (1918) Centennial, a fun-filled and extravagant evening is planned in the elegant Augustus Ballroom of Caesars Windsor. With Past Rotary International Vice President Jennifer Jones emceeing the event and Rotary International President Ian Riseley and his wife Past District Governor Juliet as guests of honour, the gala is sure to impress. Come experience amazing food, beautiful views and true Rotarian fellowship as we celebrate 100 years of Service Above Self. 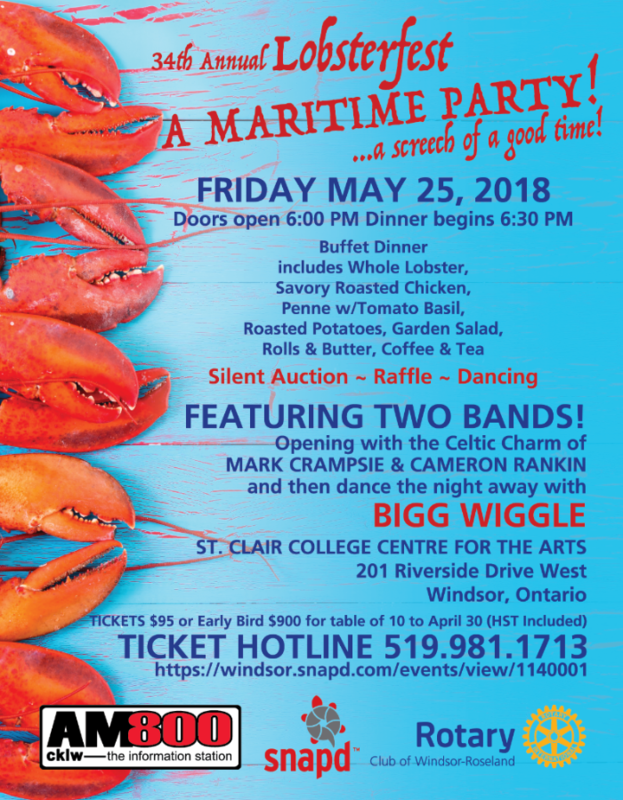 http://rotary1918.com/page/gala-registration, call the office at 519-253-6382 or email info@rotary1918.com to reserve your spot. Come experience amazing food, true elegance and Rotarian fellowship as we celebrate 100 years of Service Above Self. Howard Ave. and Laurier Parkway (click for map). 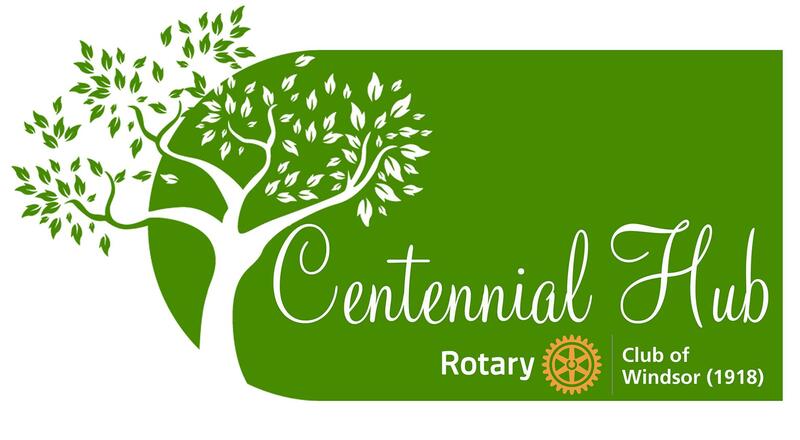 Join District 6400 and help plant the Rotary Club of Windsor (1918) Centennial Hub on April 28th. Our district is helping to ensure Rotary International President Ian Riseley's tree-planting challenge is met. The Hub features a 3-kilometre trail that connects the ERCA Place for Life Chrysler Canada Greenway, Herb Gray Parkway Trails and Town of Lasalle Trails. This is a free event. Bring your bikes to try out the trail after the event! Upcoming Foundation Fund Board meeting April 25 at 4 p.m. Farrow Boardroom.